What has been a poor start to the season for the Leeds Rhinos could quickly become a crisis if they suffer another defeat this weekend and Yorkshire rivals Castleford are probably the last team they’ll want to face on Thursday. 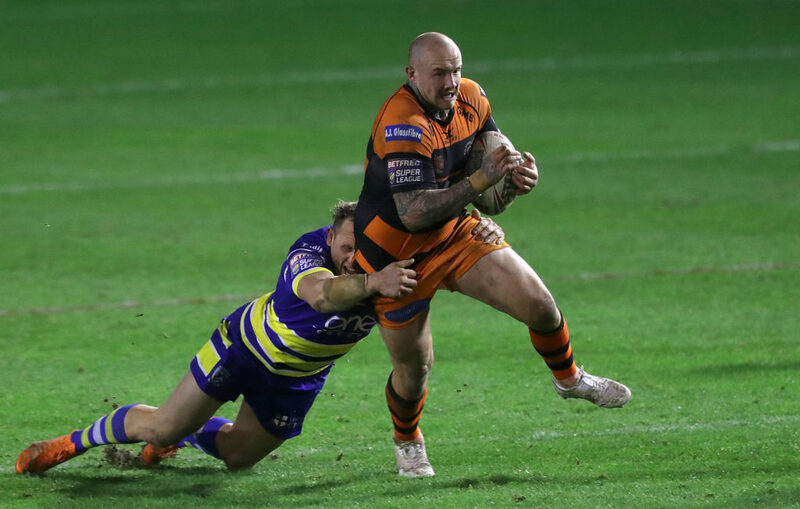 Struggling Leeds face an impressive Castleford side on Thursday as they look to salvage their season following a desperate start to the 2019 campaign which was epitomised by a close but damaging defeat to Catalans Dragons last weekend. Fouad Yaha bagged four tries in Perpignan to condemn the Rhinos to their seventh defeat of the season – a loss which sees them rooted to the bottom of the Super League table. Once again it was a story of what could have been for Leeds who took an early 16-6 lead, but Ash Handley’s treble proved in vain for the visitors who paid the price of giving away costly penalties and eventually succumbed to a Fouad Yaha try with just eight minutes of the game remaining. Castleford, who go into this fixture third in the table, are now four points adrift top-spot having suffered a convincing 42-8 defeat at the hands of league-leaders St Helens last week and will be keen to bounce back with a win in order to keep in touch with the runaway leaders though have shown some promise in a season which has seen them defeated on just two occasions. Leeds will be without forward Carl Ablett, who has been ruled out for up to six weeks following surgery on an ankle injury, while Harry Newman comes in for Brett Ferres, who was given a two- game suspension for use of knees in a tackle during their loss to Catalans. In contrast, Castleford boss Daryl Powell makes just one change to his side following the loss to St Helens last week as Will Maher returns from a pectoral injury sustained in pre-season and replaces Tuoyo Egodo in the squad and an almost full-strength Tigers side could well be too much for the vulnerable Rhinos who could be on the brink of a crisis. 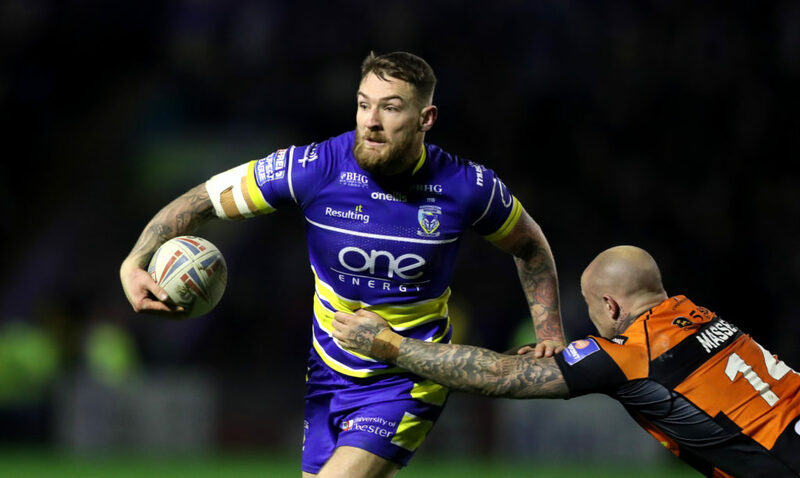 The Warrington Wolves have enjoyed a magnificent start to their 2019 Super League campaign and since narrowly losing to Catalans in Week 3 have won three on the bounce, including a narrow victory over Wakefield last weekend. The Wire resisted a remarkable second half comeback from Trinity to stay in touch at the top of the table and currently sit just two points off the Saints. The Wolves were grateful to the boot of Stefan Ratchford last week, who kicked seven goals from seven attempts while Centre Toby King gained bragging rights over older brother George in the Wakefield team by opening the scoring in the fifth minute and then setting-up Josh Charnley to go over for the first of his two tries. Hull FC have also impressed this season and moved into the top half of the table with a narrow 28-24 win at London Broncos which saw them overturn a 14-10 deficit with 18 unanswered points courtesy of a brace of tries from Josh Griffin along with scores from Albert Kelly and Carlos Tuimavave to secure a victory which took them level on points with fourth-placed Salford. It was the second try of the season for Tuimavave, a player who has regularly been one of the Black and Whites’ standouts with the ball since making the switch to play alongside new signing Ratu Naulago and the pair have started to build a formidable partnership in what is now a vibrant and thriving backline. But despite the nature of Hull’s win over London it’s difficult to see anything other than a victory for the visitors here and despite the resilience shown in the capital, the fact that they could have been dead and buried in the first half shows they are often vulnerable – something that a ruthless Wolves side could well exploit.